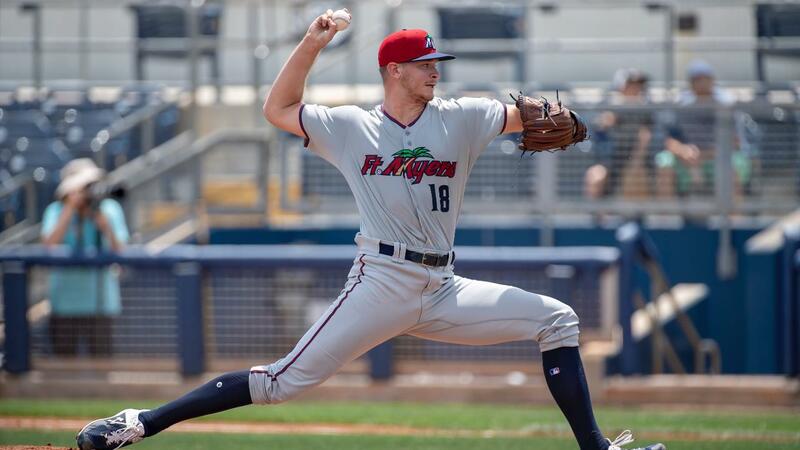 CLEARWATER, Fla. - Ryan Jeffers homered and two Miracle pitchers combined on a four-hit shutout, as Fort Myers beat Clearwater for the second straight time, 3-0, on Saturday night at Spectrum Field. Bailey Ober (1-0) went the first six innings, allowed four hits, and struck out four. Anthony Vizcaya tossed three perfect innings to earn his first career save. The two combined to throw just 86 pitches and 15 balls in the game. Vizcaya threw 23 pitches and 22 strikes. Clearwater did not have a runner reach second base in the contest. The Miracle broke a scoreless tie with two out in the sixth. Aaron Whitefield broke hit bat on a double that nearly reached the left field wall and Royce Lewis followed with an RBI double down the left field line. In the seventh, Ryan Jeffers launched a long two-run homer to left center, his first of the season, to pad the Miracle lead. Jeffers also threw out two runners attempting to steal. Travis Blankenhorn extended his hitting streak to eight games with a single in the third. Lewin Diaz went 2-for-4 and is now hitting .480 to lead the club. Kyle Young (0-2) suffered the loss for Clearwater. The left-hander went six innings and allowed a run on four hits, striking out 10. The three-game series concludes on Sunday afternoon. Left-hander Charlie Barnes (0-1) will start for the Miracle.